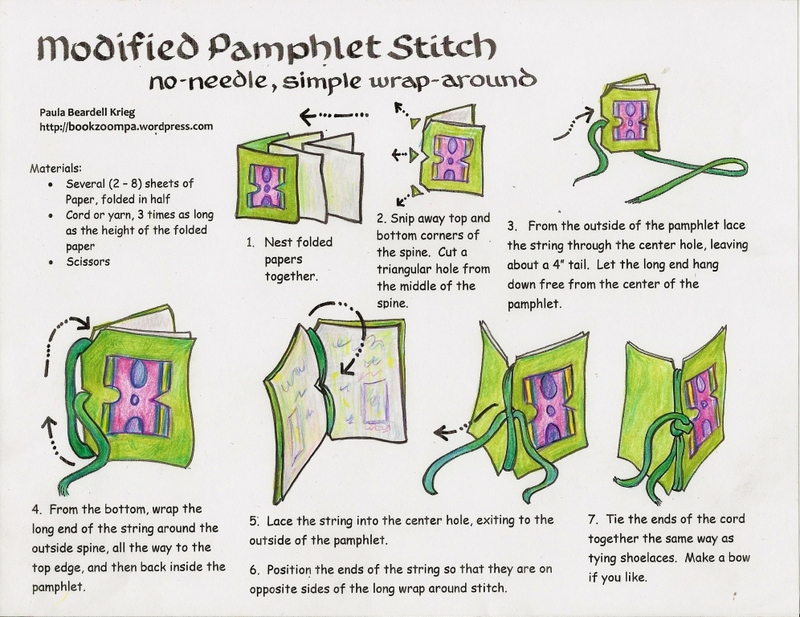 Addendum, 2016: This page has gotten about 35,000 views so I’ve decided to update this post with a slightly better set of directions on how-to-make-a-snowflake than the tutorial page further down in the this post. I’d be grateful to know if you’ve found these directions helpful. This evening I tried, through two thousand miles of phone wire, to explain to my friend Cynthia how to make a six-sided (six-pointed?) 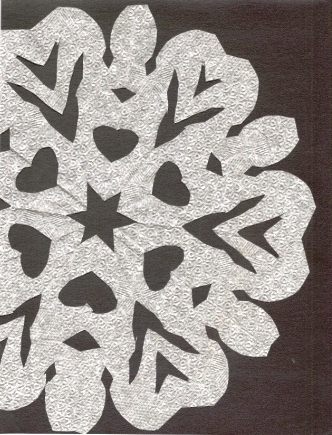 snowflake using dinner napkins. I failed. So here are the directions, with visual aids. 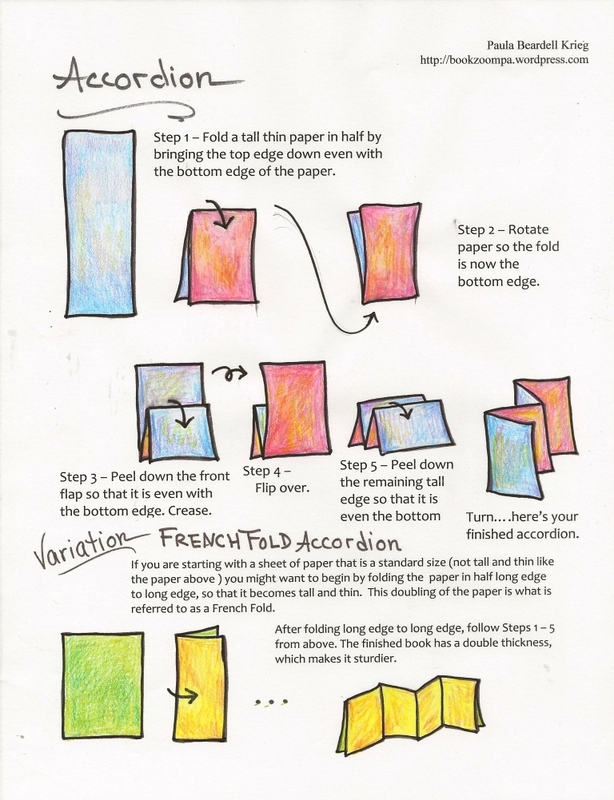 Begin wiith regular dinner napkins. 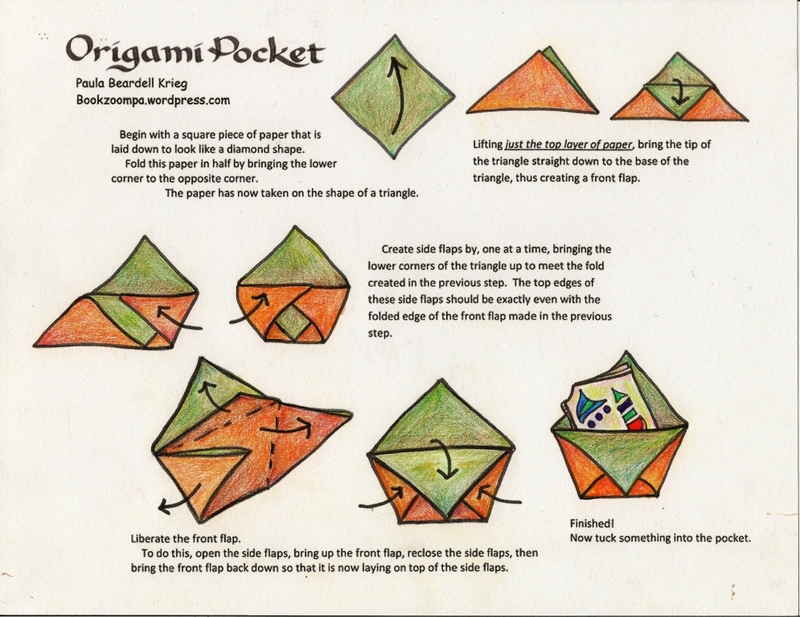 These are just about always square, folded into fourths. Perfect. 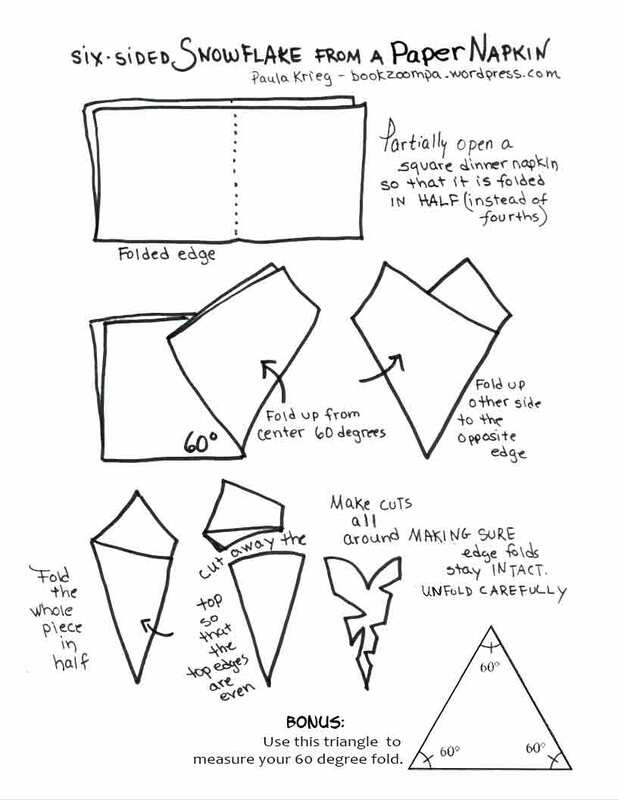 Also, get a pair of scissors, and have at the ready a triangle that has at least one 60 degree angle on it. 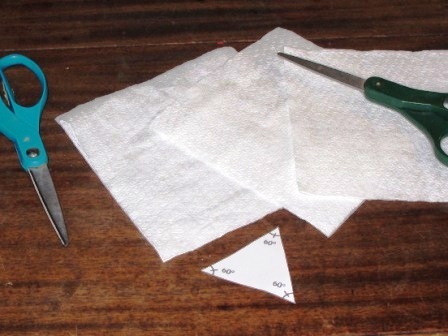 An equilateral triangle has three angles that measure 60 degrees, so this is the best one to use. 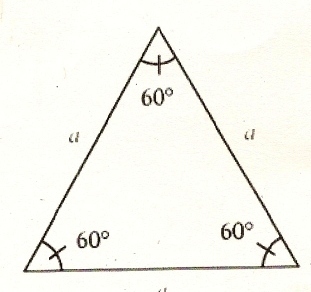 And where can you get this triangle? Well, right here. Print this out then cut it out. 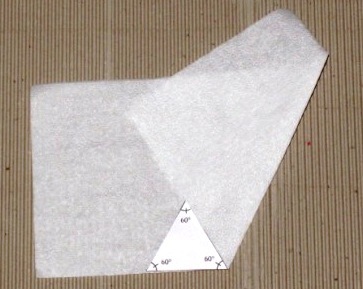 Next, open up a napkin so that it is folded in half instead of fourths, From the middle of the folded edge, fold the bottom up 60 degrees. To get just the right angle, use the 60 degree triangle, placing the point of the triangle on the bottom of the middle fold on the napkin. See the picture below. I drew out the rest of these directions. Here they are. 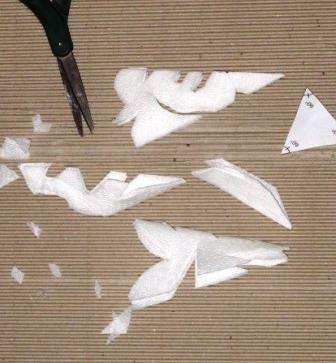 These directions start from the beginning. .
Now here’s how my snowflakes looked after I made cuts. And here they are hanging on my front door. 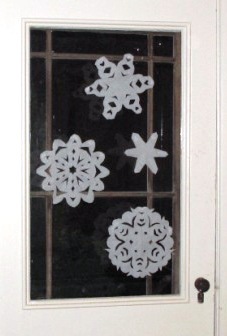 If you want to attach snowflakes to a window in such a way that the tape doesn’t have to be scraped off, use Scotch Magic Tape. This is the only tape that I have found that comes off of glass when you want it to come off. 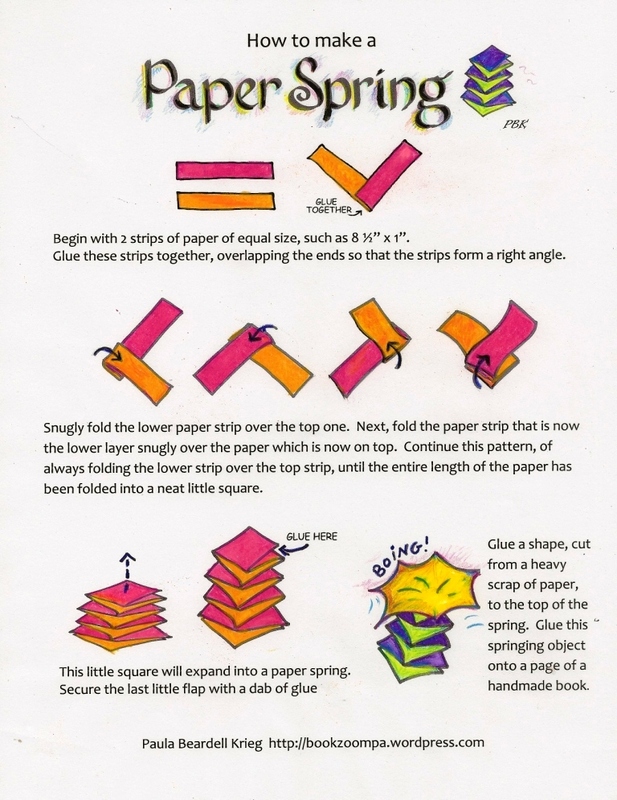 Carole M…I had a great time looking at the your posts about paper cutting. Thanks for pointing me in your direction. The added bonus was seeing your Christmas tour of Sydney. From my northern hemisphere perspective all the holiday decorations against the southern hemisphere backdrop are fun to see. the internet is so cool…. I hope you are still having soooooooooo much fun even now, a year later! This is brilliant! 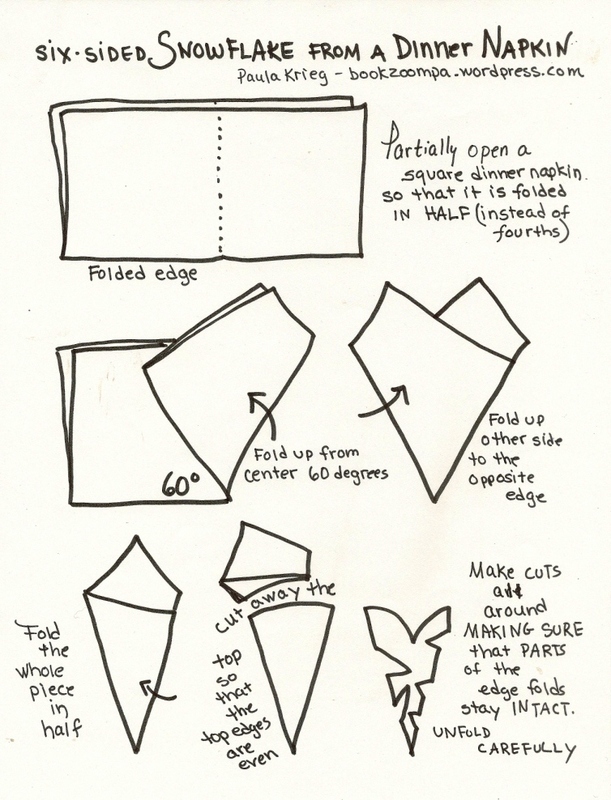 So much easier than the “fold in thirds” as shown on so many other how-to directions. Thank you for the triangle. I will be using this with my fourth graders this month. Oh! That’s great that you are doing this with 4th graders.,,and,maybe using that equilateral triangle will give them a reassuring connection with geometry? 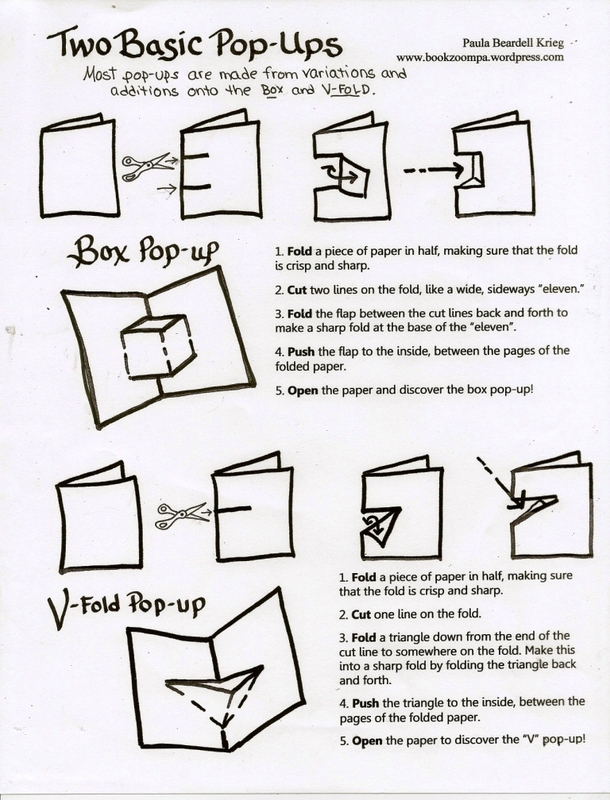 I hope you use the dinner napkins, as they are so much easier to cut than regular copy paper. Thanks so much for leaving a comment..